Join Seanchai Library and friends As they reach their final destination: a climatic 90-minutes session that sees a stranded train rescued and Hercule Poirot reaches his conclusions regarding a case most perplexing. It should have been a route trip aboard the luxurious carriages of the Compagnie Internationale des Wagons-Lits’, Simplon-Orient Express. Yes, arrangements have been made in a rush, yes, it looked as if he would have to make the journey in the confines of 2nd class, but at least Poirot would make it back to London and the business requiring his urgent attention. Then his friend, M Bouc, who just happens to be a director of the company and travelling on the same train, arranges to have Poirot “upgraded” to first class and his accustomed comforts. All is set for a most agreeable journey, but for the presence of one man: Samuel Ratchett, a noisome American, also aboard the train, and who accosts Poirot, claiming someone is trying to kill him, and demanding Poirot aid him. Refusing on account of finding Ratchett a disagreeable fellow and not at all whom he appears to be, the detective endeavours to enjoy the journey, finding his fellow first-class passengers a most curious group. Ratchett, however has other ideas – or at least, someone does. With the train caught in a snow drift, the American is found dead in his sleeping cabin, and Poirot, now convinced of “Ratchetts” true identity – that of a child kidnapper and murderer known as Cassetti – finds himself cast into a familiar role of determining who is responsible. But who – who among the group of travellers killed “Ratchett”? The hard, but quintessentially polite Englishman, Colonel Arbuthnot? The suspiciously acting Count and Countess Andrenyi? The cool and unruffled Mary Debenham? The mysterious and distracting Mrs. Hubbard, who herself probably is not whom she appears to be? The Russian Princess Dragomiroff, frequently giving to lying? Or might it have been Cyrus Hardman, the flamboyant detective from New York City, whose “assistance” in the case seems less than genuine? Or perhaps it was Hector McQueen, “Ratchett’s” personal assistant – or any one of five other possible suspects? All of them appear to have a link either to “Ratchett” or to his most heinous of crimes and a reason for wanting him dead. Was it one of them? Some of them? All of them? Or – none of them?! Board the Orient Express one last time in a special setting, as Seanchai library reaches the conclusion of this most famous and engaging of Agatha Christie’s novels! When a fortune-teller’s tent appears in the market square of Baltese city, orphan Peter Augustus Duchene knows the questions that he needs to ask: Does his sister still live? If so, how can he find her? The fortune-teller’s mysterious answer that an elephant – an elephant! – will lead him to his sister, sets off a chain of events so remarkable, so impossible, that you will hardly dare to believe it’s true. And thus we’re off on a wondrous adventure of the kind only Newbery Medalist Kate DiCamillo could tell. 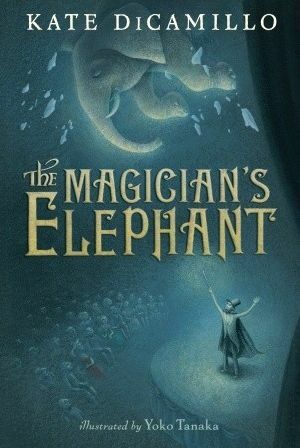 In this timeless fable, she evokes the largest of themes — hope and belonging, desire and compassion — with the lightness of a magician’s touch, and we are joined in a world of What if? Why not? Could it be? Join Calaedonia Skytower at the Golden Horseshoe for this most enchanting of stories. In the 21st century utopia has arrived in the form of a repressive but seemingly benevolent, if omnipresent, bureaucracy. Their perfectly ordered world, seemingly run for the benefit of all, is actually ruled with an iron fist. In claiming to have people’s best interest at heart, those in power keep the population occupied and docile with menial tasks and the promise of advancement with the aid of the strictly controlled drug, R-47. 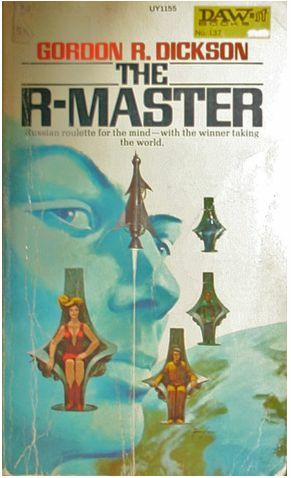 For the vast majority, R-47 actually does nothing.But for a special few, observed and selected by the ruling Council, it can massively enhance their intellect, elevating them to the status of “R-Masters” allowing them to solve problems, see advancements, and help ensure – wittingly or not – the Council’s control over the world, cosseted and pampered well away from the drudgery of ordinary life. However, there is a darker side to R-47: just as it can elevate the intellect of some of those chosen to receive it, so to can it reduce them to imbeciles – and there is no way of knowing who the outcome might be in advance. Wally Ho is one selected to receive R-47 – and suffers the latter fate. Determining it will raise his problem-solving abilities and restore his brother, Etter Ho obtains R-47 and takes it. But, once elevated to the privileged ranks of the R-Masters and witness the truth behind the Council’s rule, Etter determines the established status quo cannot allowed to continue, and Big Brother must be brought to heel. Join Gyro Muggins as he reads Gordon R. Dickson’s 1973 novel about life in what is now our times! The Library is closed for the evening. 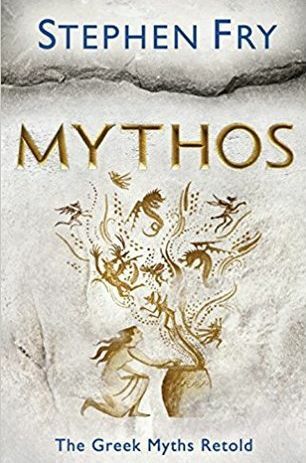 Through them, you’ll once again fall in love with Zeus, marvel at the birth of Athena, wince at Cronus and Gaia’s revenge on Ouranos, weep with King Midas and hunt with the beautiful and ferocious Artemis. Caledonia shares more from her latest short story, inspired by Pfaffenthal 1867 in SL, and a legendary ghost from Luxembourg. Shandon Loring reads Frederick C. Davis’s tale. Also presented in Kitelyhop://grid.kitely.com:8002/Seanchai/144/129/29.